See. I told you I'd conquer those nose creatures from space (and the best part - I didn't have to sacrifice my life ... a la Randy Quaid style)! But in all seriousness, I'm back and ready to bust some heads - metaphorically speaking. But first, I'm back just in time for the first ever Oh, How I Miss You Blogfest, hosted by none other than the auspiciously awesome blogger giants Andrew Leon, Matthew MacNish, and Alex J. Cavanaugh (I'd miss all of them if they stopped blogging, but since they're hosting, they don't count here - sorry, fellas). Oh, and this is the official button. Good stuff, eh (fyi, I'm usually a little loopy after a head cold - must be the increased blood circulation to the smart mass after all the dumb mass I had to dispose of ... tissue style! Brenda Sills. Why? Because she's got to be one of the warmest and hilarious gals you'd ever meet, and she's way ultra supportive to boot (no, not to a boot - you know what I mean). It's been a few months since her last post, and what I'd give to see another. You're missed! The Dudely Trio, as in, Jared Peterson, Matthew Hayes, and Jackson Porter. Granted, these three famous authors in present teenaged form have things like school and junk to keep them busy from regular blogging. Totally understandable, but they're still missed! Ruth Josse. In a way, Ruth's kind of my silent buddy during writerly get-togethers. Sure, I'm reckless and witty in print, but I tend to be somewhat reserved and quiet in person, but I always enjoy her posts and appreciate the quiet confidence she instills. You're missed! Michael Offutt. The man knows his awesomeness. I'd be completely lost on what TV shows are worth watching without his insight. That and his blend of current youth culture, political, and other topics makes each visit special. You're a rock star, sir. You'd be missed! Julie Dao. Thick and thin, she's always there with support in truckloads. And given how hard she's been at work with DL Hammons Write Club (whoops ... I talked about Write Club! 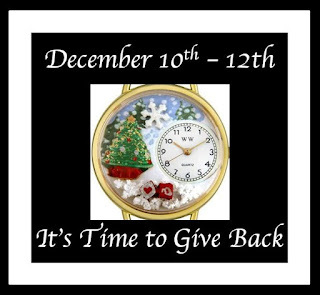 ), she manages the time to reach out, above and beyond. Thanks, Julie. You'd be missed! Casey McCormick and Natalie Aguirre. Let's face it, what would we do without Literary Rambles? They've been so helpful with sponsoring authors and spotlighting agents that they're an invaluable resource. I'm not sure if they're thanked enough, but they'd surely be missed! 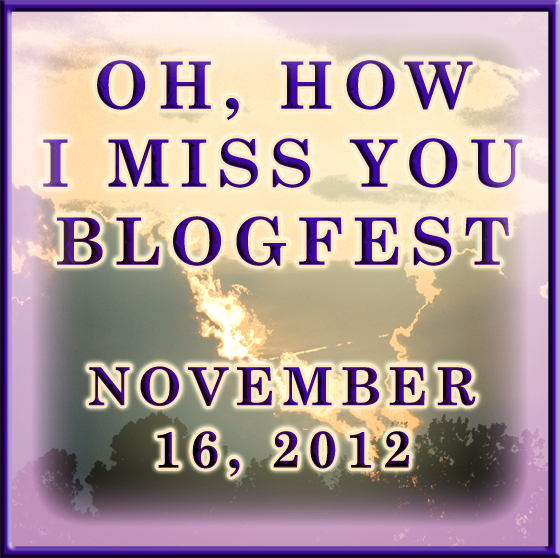 As for the multitude of so many bloggers I esteem and aspire, I both miss and would miss you all. It really wasn't until I started blogging when I realized how vast and competitive this writing world is, but I'm glad to see you all as friends rather than competition. Thank you all! How's about a big virtual group hug, eh? I'll be at full steam again on Monday, which is when we'll announce the big super secret blogfest that will take December by "storm!" Did you miss me? Are you participating in this blogfest? Who would you miss or currently miss among your blogging buds? I'm David, and this is a most random (and awesome) music video! You did talk about Write Club! And DL has made several lists because he's been so busy with Write Club. Crap, now I just talked about it! Of course we missed you! Welcome back--glad you're feeling better. Glad to see you back, David. I would miss all of you, you all have become a important part of my writing life. Congrats on defeating the nose creatures! They can be persistent little things. It's so hard choosing only a few blogs, but you picked some great ones to spotlight. Hi David .. sounds like those grungy jelly bits are getting sorted - do hope you feel better .. at least over here I can't catch it!! Can I?? So many excellent bloggers out there .. I'd miss blogging if I ever give up .. not thought of yet .. and I don't have to make a YouTube .. I'm back vid!! Glad you are feeling better, David. Some excellent shout-outs here. I love your list and the way you shared it! OF COURSE, we missed you! Hope you're feeling better. 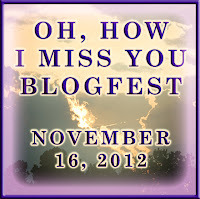 Yes, I am in the blogfest... How can I not be? I am ALWAYS shouting out how great our community is, so this is the PERFECT Blogfest for me! Great choices. I would miss them TOO. Let's hope we never have to! Write Club is an amazing venture. And what a fantastic blogfest this is--I am about to write my own post for it. Oh thank you! Are you watching "Elementary" on Thursday nights? I've really liked it. And I'm getting into "Arrow" on the CW's Wednesday line up (right before Supernatural). Wednesdays exploded with pure goodness this fall. Got 1) Modern Family 2) Arrow 3) Supernatural 4) Chicago Fire 5) American Horror Story. Missed you. I love Independence Day. Thanks for all the great links. Glad you are on the mend. And I loved the clip from Independance Day, one of the best moments in that movie. Makes me smile every time! Glad you're feeling better. You gave a thumbs up to some great blogs. Yeah, Literary Rambles. We'd all miss them! What a service they provide! So glad the creatures didn't get you. Man, my internet is all jacked up at work. It's taking me forever to comment. Anyway, thanks for taking part, David! I'm just glad to see I know most (but not all) of these bloggers. Yes, I DID miss you! Thanks for stopping by today. Where ya been, man? You've got some great choices there. Welcome back and it has been a long time. Too many great blogs to visit. Thanks for stopping by my blog. Welcome back! DAVID!! *fist-bump* The feeling is completely mutual, sir. Thank you for mentioning me today. I'm filled with the warm and fuzzies for the weekend ahead. I would miss everyone. I'm loving this blogfest! Oh, man... first ever? Did I start something? Right on with Julie Dao! I love her blog, too! And would miss her tons. I did miss you. In fact, I checked your blog this morning and didn't see your post. I almost named you in my Miss You post. Apparently, though, the creatures you defeated took up residence in our house. Welcome back! :) You were definitely missed. And now I've got that song stuck in my head, thanks to your link. LOL. I really like the idea of this blogfest. Michael Offutt, Julie Dao, and Natalie Aguire are a few of my favorite bloggers! I'm still running into some of the followers I picked up during the insanely busy Challenge in April. Thanks for being one of them. Wasn't this blogfest a super great idea! Your choices sound awesome too! Great choices! I have some awesome people to meet, I see. :) Glad you're back after doing battle with those horrible creatures. I would miss all my bloggers out there should any of you stop. You all make this community a wonderful, bright place. so glad you are back above the weather! Lost brain matter in the tissue...hilarious! I miss everyone that doesn't blog anymore. Great tribute! I visit Michael's blog regularly and wholeheartedly agree. Glad you're feeling better. Those nose creatures a really are making their rounds. I've fought a few myself. Cheers to health! Big virtual hugs all around!!! I love the encouragement I've found in the blogsphere!